One of the joys of my retreat work is to present Sacramental Reflection Days and Sacramental Evenings in primary schools. Using the gift of music and a wealth of experience gained in the area of liturgy I combine music, ritual, parent / child conversation and an engaging visual presentation on the Sacraments including Reconciliation, Eucharist and Confirmation. Parents and teachers are often inspired by the wonderful responses given by the children as we all reflect and enjoy some quiet time away from our busy lives. We were learning about choices in RE today. I read a story that finishes with the parent saying 'I love you even though you wear me out!' At the end of the story Johnny said 'Thats like what Maria taught us last night... that our parents always love us even when we do the wrong thing. And so does Jesus' I nearly cried!! How lovely!! Even our juniors got something out of the night!! Thanks !! 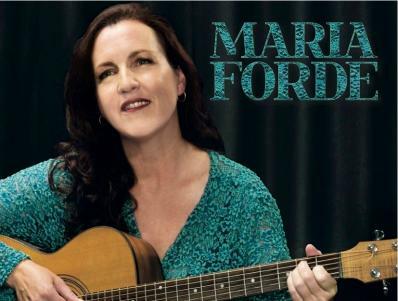 'Maria Forde brings her spirit, warm personality, deep faith, authenticity, musical talent and wonderful voice to our school community, as she facilitates parent and children sacramental programs. Parents and children are engaged and responsive to Maria as she tells stories, sings and plays the guitar, explains the rich symbolism and meaning of our sacraments and invites our community to prayer. Maria does so with a simplicity, authenticity and deep conviction.